Though Miami has already seen a couple of Basel-related parties and events, Art Basel Miami officially begins tomorrow and will continue through Dec. 6. Among new displays and works will be Art Basel and BMW’s new artist initiative, BMW Art Journey. While BMW is well-known for its strong presence in creating luxury cars, the company’s “Art Cars” aren’t quite as infamous. 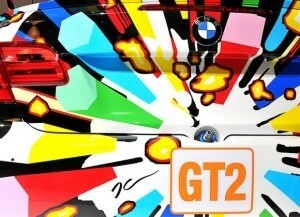 Over the past four decades, many famed artists, including Roy Lichtenstein, Jeff Koons and Andy Warhol, have created works for BMW’s Art Car collection. 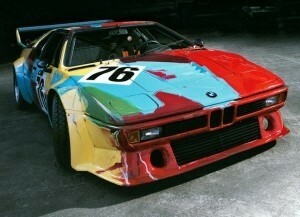 Each car is considered a mobile masterpiece that uses a BMW as its canvas and inspiration. In 2015, BMW partnered with Art Basel to present the first-ever BMW Art Journey. 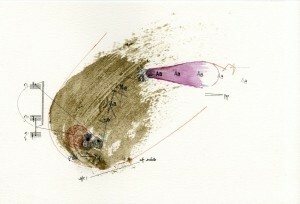 This new worldwide annual initiative will give two selected emerging artists, one who presented at Art Basel Miami and one who presented at Art Basel Hong Kong, a unique experience to develop new work. The selected artist will have the opportunity to travel to many locations around the world to research, network, and create fresh and original artwork. Kong-based artist who is focusing his Art Journey on the dichotomy and relationship between musical instruments and the military. Titled “For Whom the Bell Tolls: A Journey into the Sonic History of Conflict,” Samson’s project seeks to explore how instruments and conflict are often related. His journey is being followed and updated on BMW’s website, and will take the artist to far-flung locations like Kenya, South Korea, Austria and Myanmar. The next eligible group of BMW Art Journey artists are to be judged at 2015’s Art Basel Miami, with a winner announced in early 2016. The new BMW Art Journey program is expected to provide a boost to both BMW and Art Basel.